Birthday wishes! A Penny Black card! I have a very pretty and colourful birthday card to share with you today. 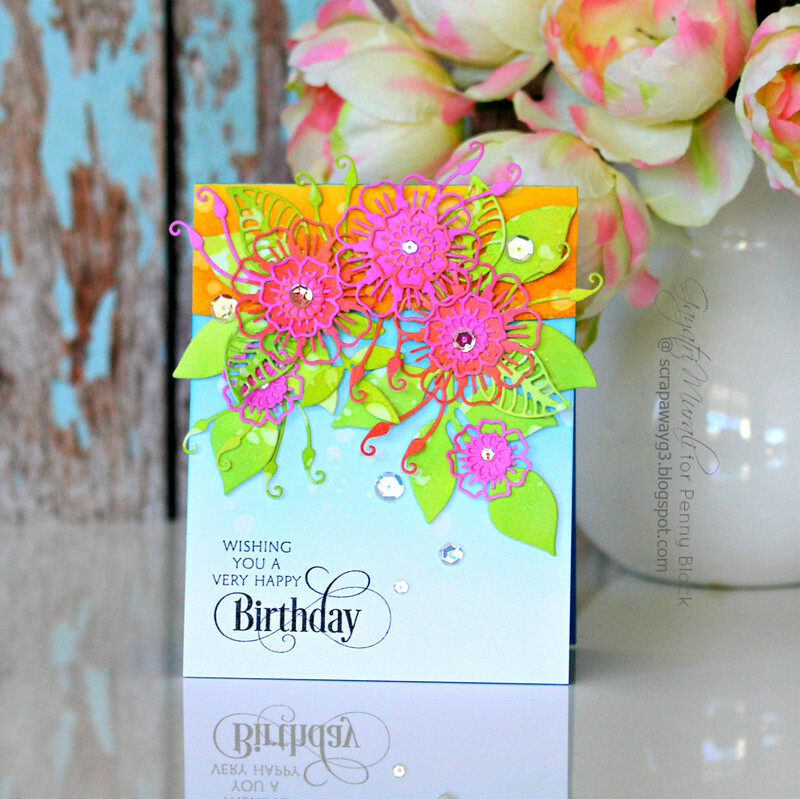 This is Penny Black card using the latest Penny Black release dies and stamp set. I have used new dies and paired with some older dies to make this card. 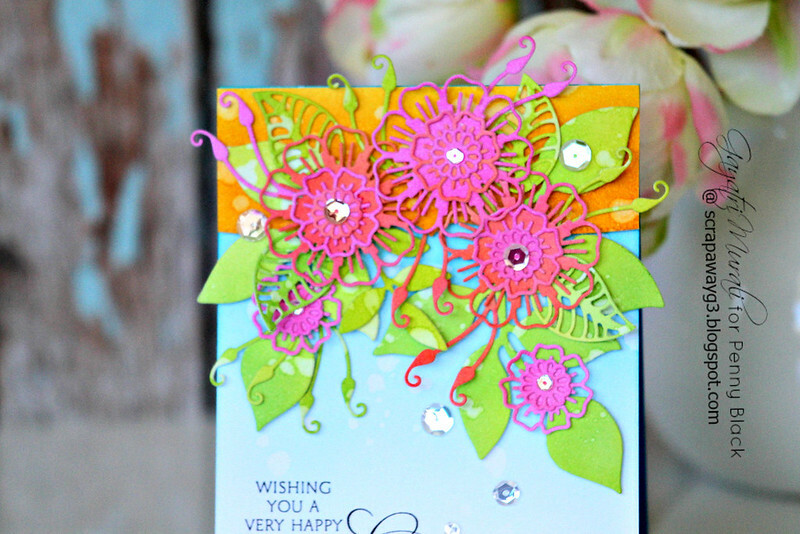 The new dies used is called Layered Flowers. And the older dies I used on this card are called Leaves die set and Stitched Edges die set. I started with sponging distress inks Picked Raspberry and Candied Apple on a white cardstock for the flowers, Twisted Citron, Crushed Olive and Mowed Lawn for the leaves, Mustard Seed, Spiced Marmaladeand Fosslized Amber for the decorative layer and Tumbled Glass, Salty Ocean and Peacock Feathers for the card front. After sponging I spattered some clean water on all of them except the pink and red panel. Then I die cut the flowers, leaves and the decorative layer using the dies. Then I simply clustered the die cuts to assemble the card. The sentiment is from Sentiment Collection stamp set. I simply stamped the sentiment in black ink and embellished with Pretty Pink Posh Sparkly Clear sequins. Here are all the Penny Black products I used to make this card. All the new products are available for purchase at Penny Black Store. Stunning card! Thanks for dropping by my blog and leaving me some kind words. Appreciate you taking the time! GOSH!! How fantastic – the colours are fabulous!!! Love your new photo!